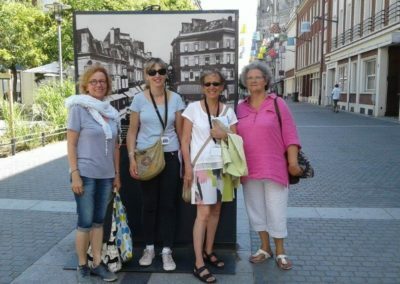 Discover Amiens with a city volunteer, a Greeter. Today is their first aniversary! 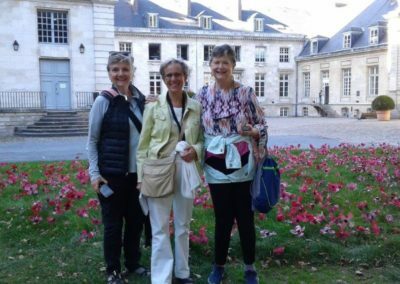 The Greeters have already offered to discover Amiens with a local for a year. 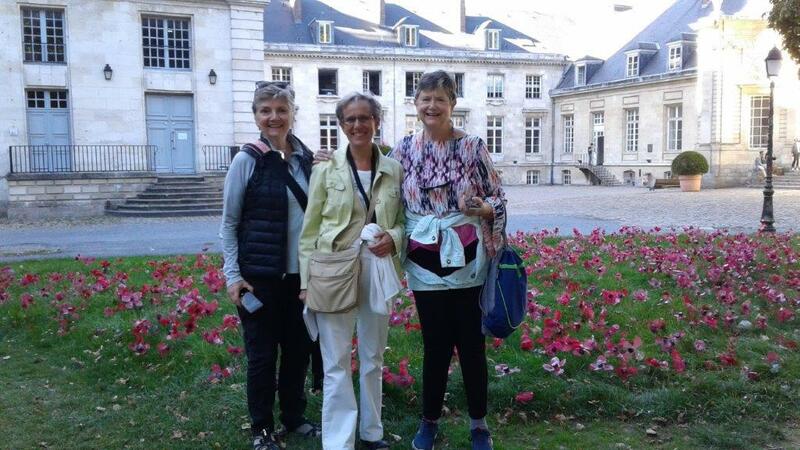 A year ago, Véronique Lusson created the association she is in leading, “Amiens comme Amie”, which is part of the national network of Greeters. Eleven of us embarked on the adventure. A few preparatory “blank” greets, a few meals around a table, allowed the group to get to know each other and instill the essential conviviality. 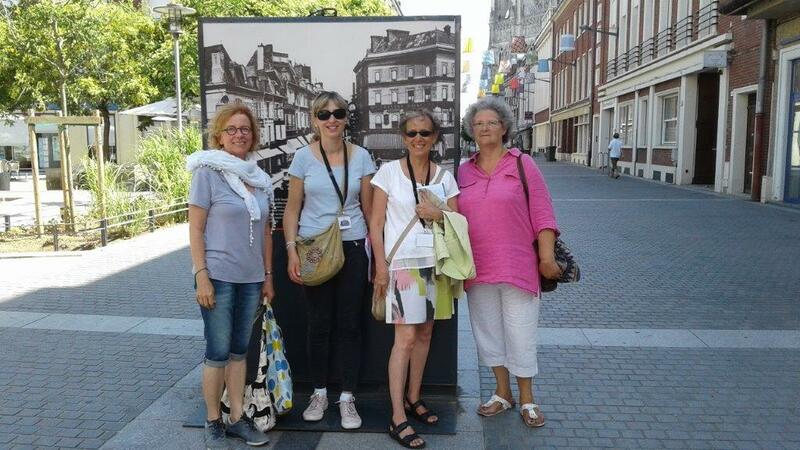 Greeters’ words: “I am always listening to what is happening in the city of Amiens. I learned that on June 2, 2018, our city received the label of L’ARBRE LE PLUS REMARQUABLE DE FRANCE for the chestnut tree of the square St Denis planted around 1860”. 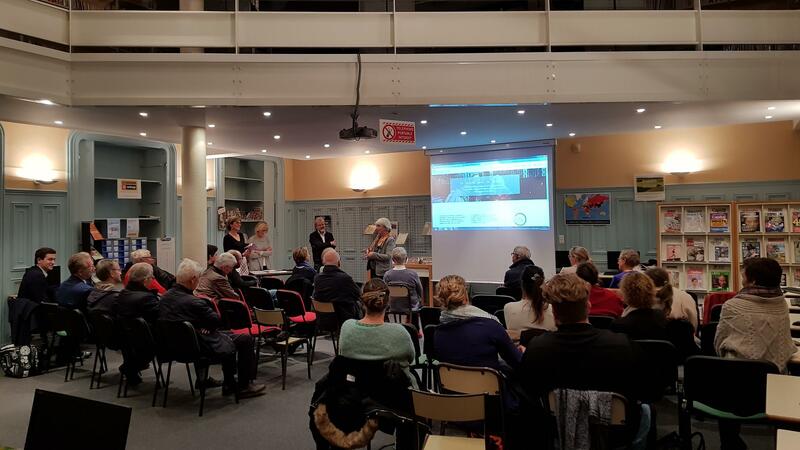 It was on Friday, November 10, 2017 when the association was officially launched in the presence of Christian Ragil, President of the Federation France Greeters; Jonathan Huffstutler, our godfather and himself “Greeters” in Rueil-Malmaison, who had not had the opportunity to join us, accompanied us by the heart. 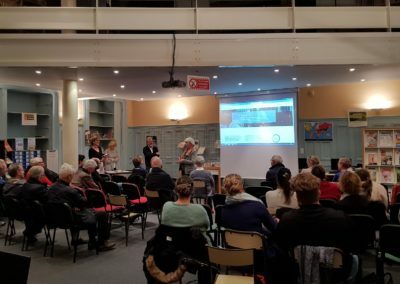 After introducing themselves, everyone was then able to sign the Charter, and was given a badge in front of an invited audience, including the Director of the Amiens Metropolitan Tourist Office, with whom we have excellent relations. A year later and about thirty Greets, to discover Amiens, including several in English, the Greeters d’Amiens team had some departures, but above all we saw the arrival of new passionate inhabitants. Our monthly meetings, at each other’s homes, have united us and allowed us to enrich and improve our greets along the way. Three new greeters have joined us and were officially inducted on Friday, November 30, 2018. Projects are announced: you will soon be able to find us on a Facebook page! We will tell you about our greets and how we will continue to introduce you to Amiens through the eyes of a resident. As the city is the European Youth Capital of 2020, the Greeters are committed to ‘Amiens for Youth’ as of now. It is planned that we will get closer to the UPJV students who have recently arrived in Amiens and offer to accompany us to help them discover Amiens in a different way. Discover Amiens with a resident or become a Greeters yourself? 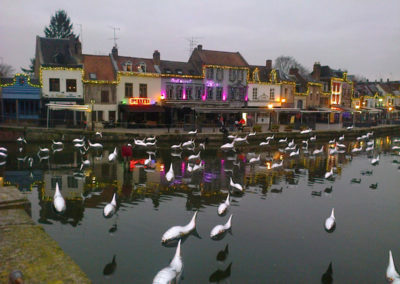 Join us to discover Amiens in a different way, with your eye and your passions. 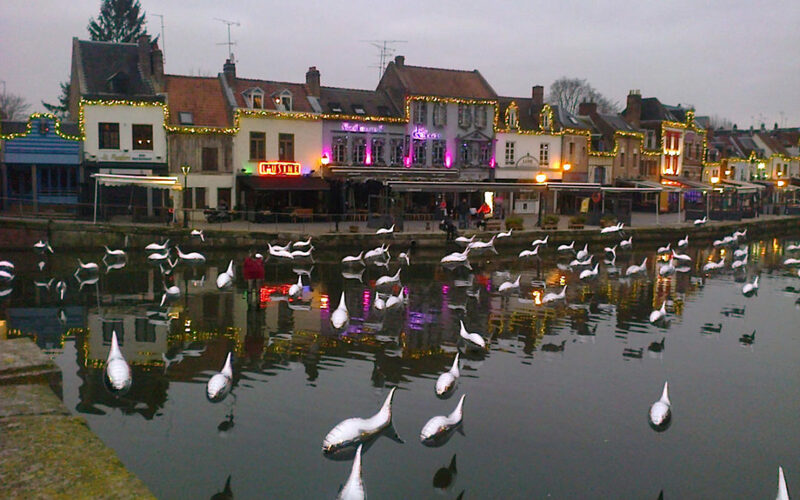 Let's discover Amiens with a local ! Already a year of activity, and yet the kick-off meeting, in which I participated, seems so close to me. The Federation’s Steering Committee joins me in thanking you all, Greeters d’Amiens and its surroundings. Thank you for your involvement, your good humour and your passion for welcoming visitors and sharing “your” city. Also important for us: your pleasure in being grafted and in exchanging with others and other cultures. It’s essential to be a volunteer, isn’t it? We hope that passion and pleasure will remain for you, also alive in 2019 with “Amiens as a friend”.